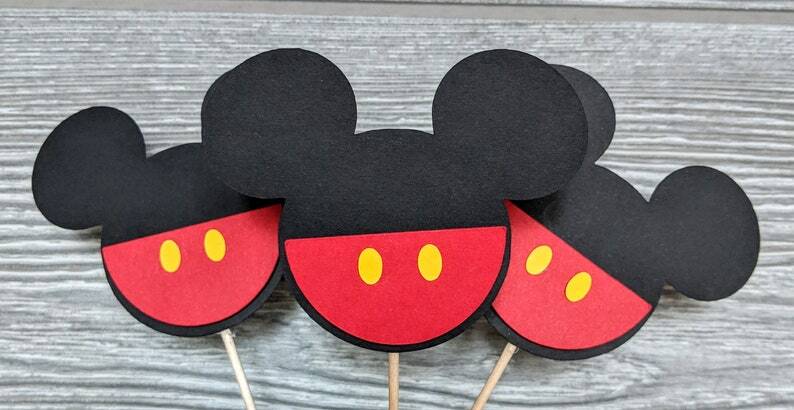 Mickey Mouse and Minnie Mouse cupcake toppers are sold buy the dozen. You can choose just Mickey Mouse, Minnie Minnie Mouse or a combination of both! The Mickey and Minnie Mouse silhouettes measure approximately 2.5 in x 3 in. 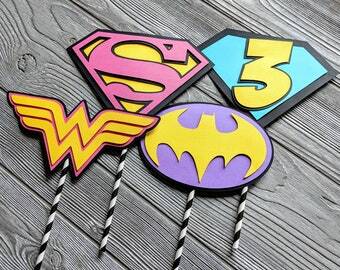 If you would like to add matching birthday banner or centerpieces, please let me know.